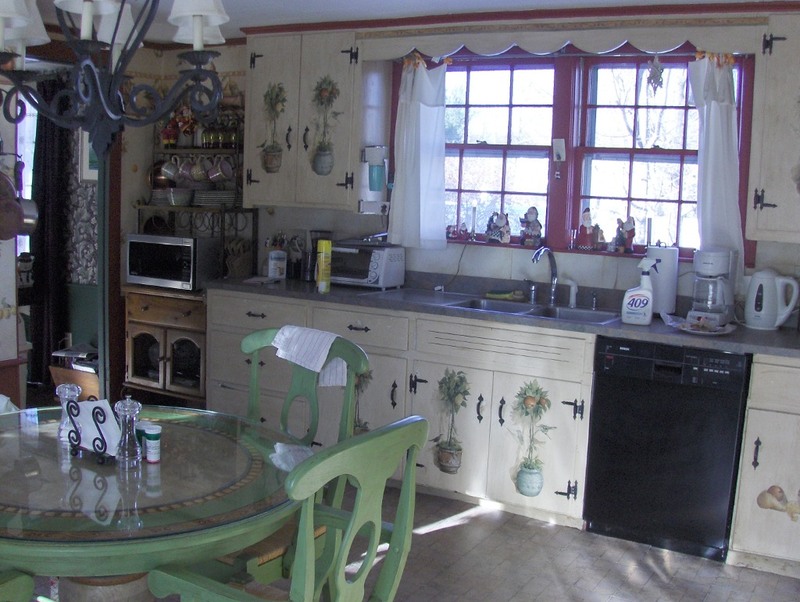 This historic New England farmhouse kitchen posed a challenge to the homeowner when it came time for a remodel. 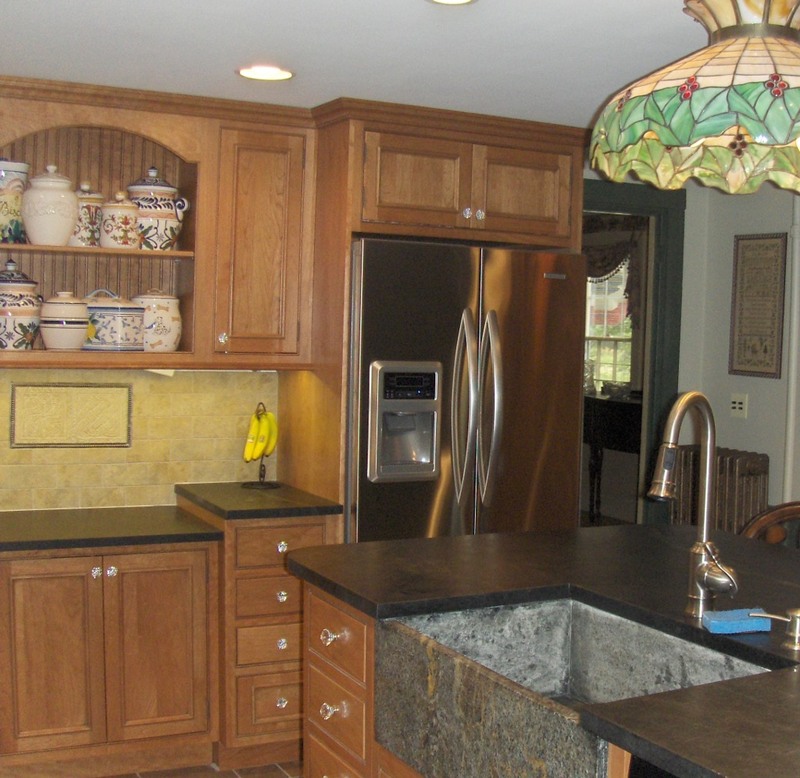 How do you update your kitchen while keeping with the age and style of your home? 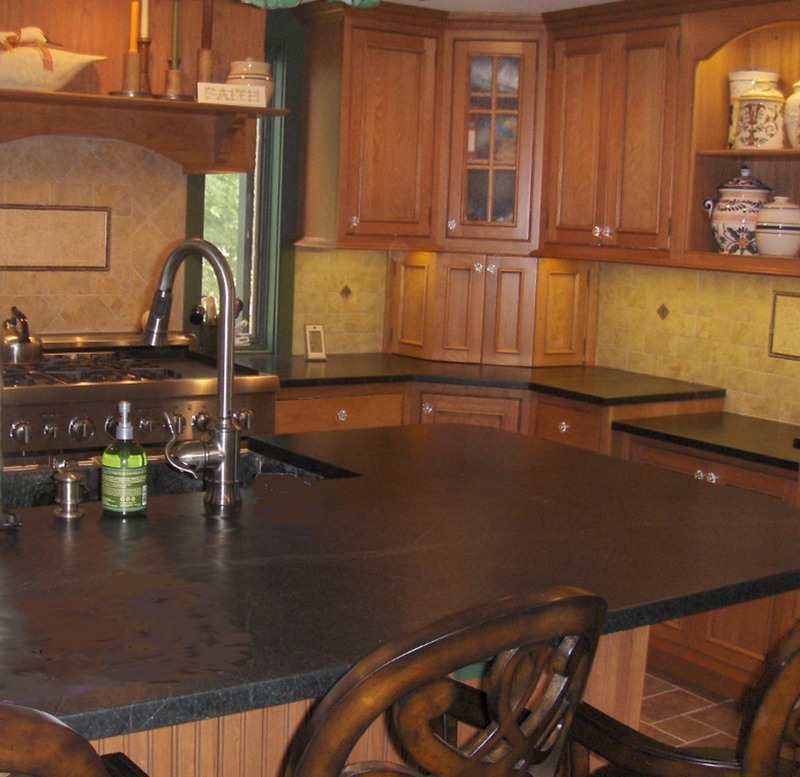 You cannot simply drop a slick granite countertop into a kitchen whose bones date back to the mid-18th century. With its layers upon layers of early architecture and more recent updates, the de-construction was bound to expose some surprises, but plans for the new kitchen proceeded. Since the homeowners are gourmet cooks, the appliances were purchased first. Form follows function in a busy kitchen where every weekend welcomes a different group of dinner guests. The design team, which also included a local kitchen designer and the homeowner who is an artist, went through the wish list and created a floorplan that incorporated everything. 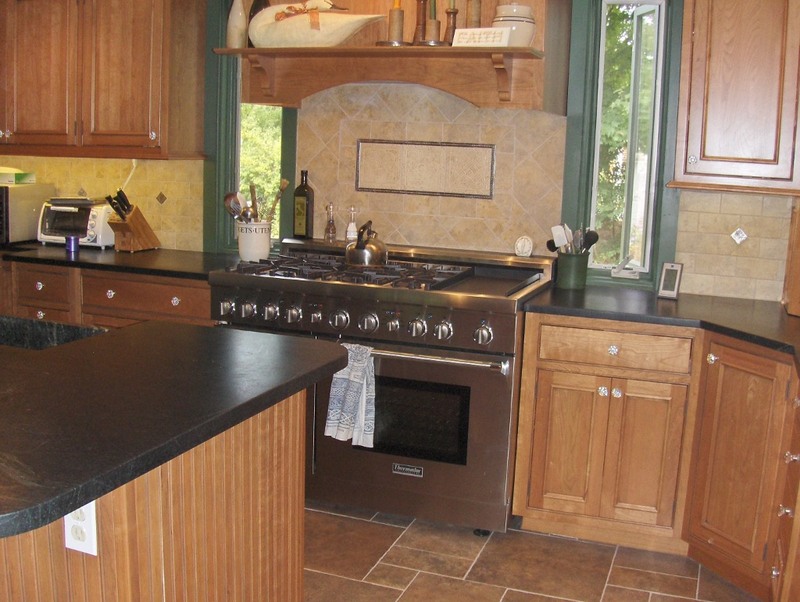 The gas range took center stage followed by a bake station, double ovens and a large farmhouse sink. The round table and chairs were replaced by a sizeable peninsula with food prep station and leather-seated bar stools for guests. We chose soapstone for the countertops in keeping with the period and kept the woods and tile in natural tones with minimal contrast to make the rather small kitchen appear larger. 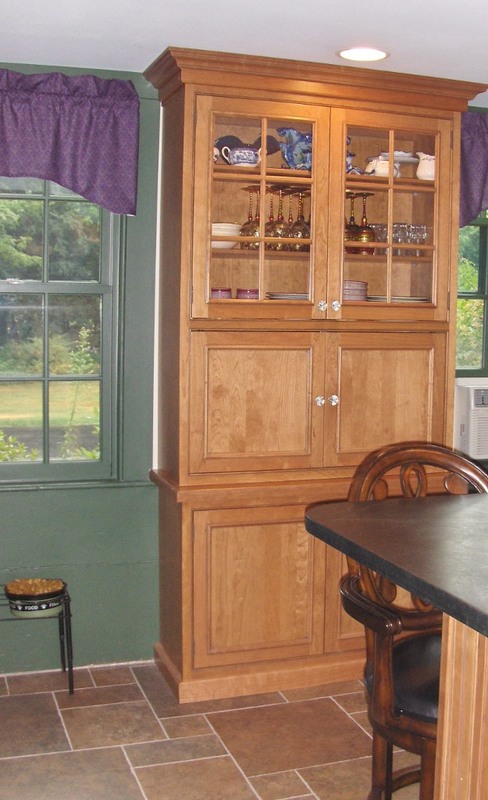 We brought the forest green and grape accent colors in from the wallpaper in the adjoining family room to create flow between the back-to-back rooms, and we added a built-in cabinet to replace the free-standing piece that housed collections and other kitchen clutter. The clean lines of the new cabinet also helped to enlarge the space. 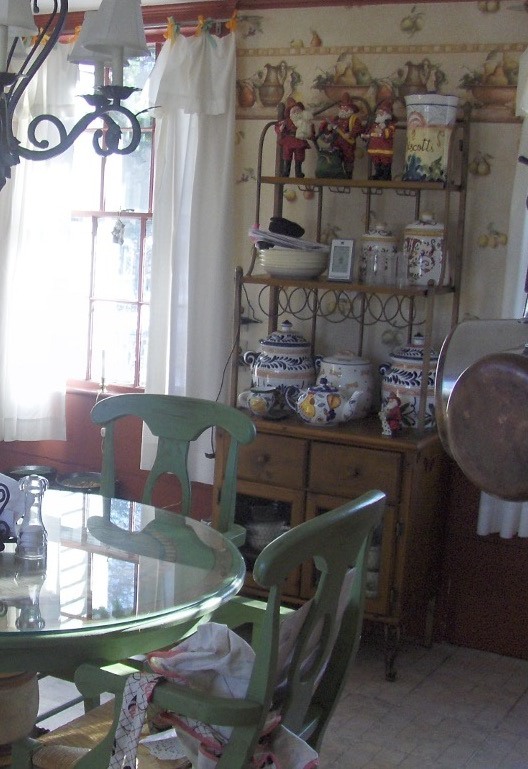 The updated kitchen, even with all its bells and whistles, manages to maintain the old early American character found in the rest of the house and provide its homeowners with a much more efficient and workable space for cooking and entertaining. 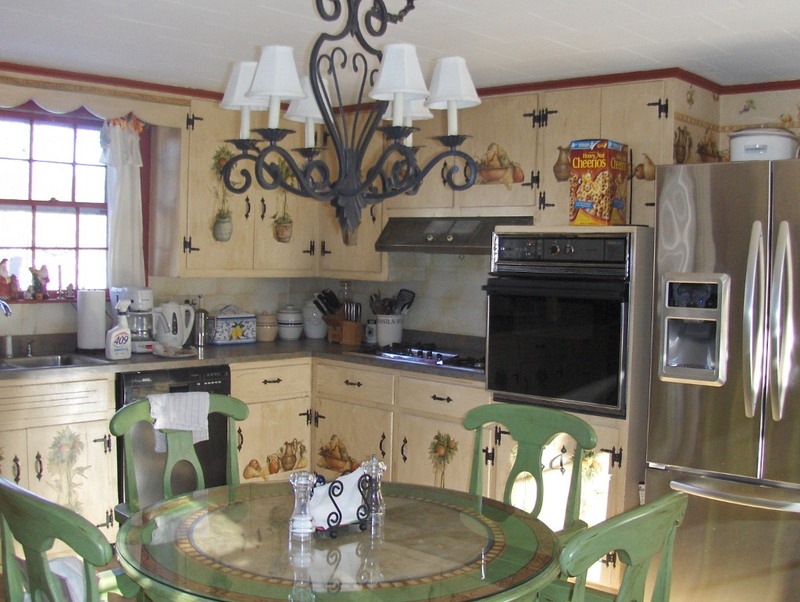 You are currently reading Farmhouse Kitchen Renovation at Your Home & Color Coach.